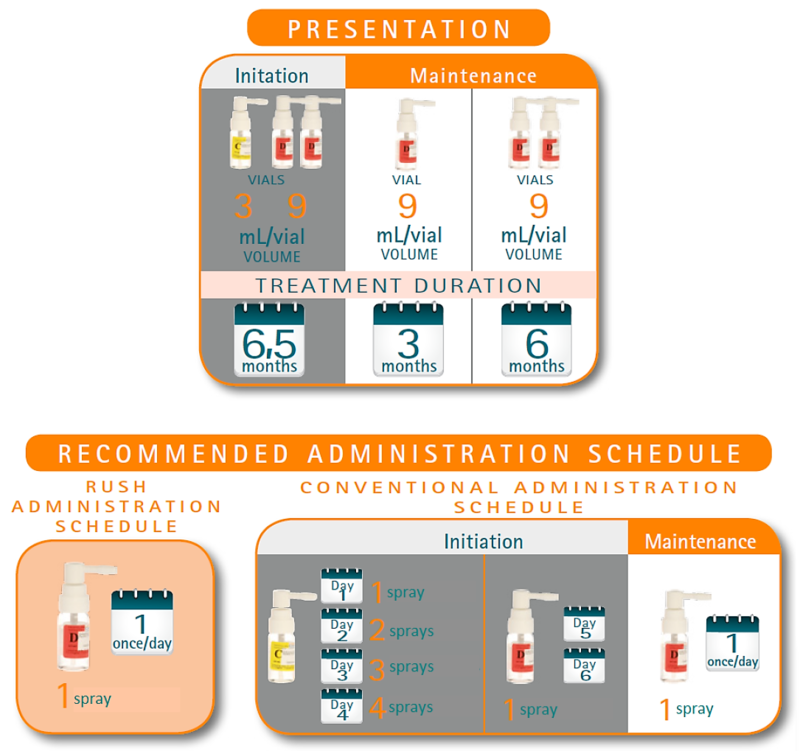 A single daily spray in the maintenance phase improves the patient’s quality of life, facilitating adherence to treatment. The sublingual spray guarantees an exact dosage of 100 microlitres per spray. The sublingual spray achieves a greater surface area of contact, improving the absorption of the product.